Vitamin D has long been investigated and researched for its impact on the human body and we know it is necessary for many healthy bodily functions. It has also been the focus of some pretty extraordinary achievements. One of the most unique things about Vitamin D is that the body needs exposure to sun in order to make and use it. Skin exposed to the right amount and intensity of sun produces the aptly nicknamed “sunshine vitamin,” and gets an added layer or protection against osteoporosis and skin disorders as well as promoting strong bones and teeth. This powerful and potent vitamin has long been known to be beneficial and even vital to several areas of your body. Being deficient in Vitamin D has been shown to lead to macular degeneration, lupus, irritable bowel diseases, multiple sclerosis and chronic heart disease. It has also shown promise at helping to inhibit infections and complications from severe medical conditions such as COPD and emphysema, and to help reduce pain, swelling, inflammation, and infection throughout the body. According to the Journal of the American Geriatrics Society and recent studies, it has also been indicated that Vitamin D may help to fight and even prevent certain types of cancers. .
“Professor Dr. Adit Ginde, lead study author at the University of Colorado, sees the link as a potential life-saving discovery. He acknowledges that doctors possess very little power to battle acute respiratory infections (ARIs), especially since most are viral, making antibiotics ineffective. Worse, the high rate of doctors prescribing antibiotics for viral infections may be contributing to the growing crisis of antibiotic resistance. In fact, superbugs resistant to drugs are projected to cause 10 million fatalities by 2050…” (Mercola). Vitamin D, however, may prevent such infections, including illnesses such as flu, pneumonia and chronic bronchitis. And with all the other added benefits it is little wonder why Vitamin D is becoming such a huge focus in the medical community. 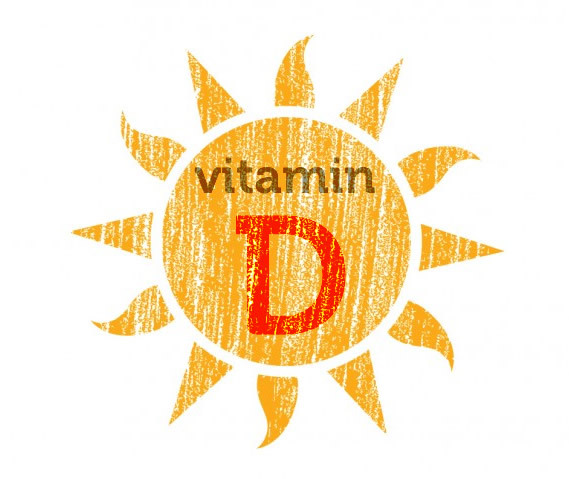 Maintaining good health with Vitamin D is a wonderful way to stay on top of your health and to fight off an array of illnesses and diseases; it is important to ensure you are getting ample levels of the vitamin in some way or another. This is why getting enough natural sun exposure in a safe manner is critical to maintaining good health and to keep you from relying on medications, antibiotics, and other harmful products. If you are not able to get enough natural Vitamin D you may need to supplement it with natural supplements and changes to your diet. As more and more research is done in modern medicine, we can explore more deeply the way Vitamin D, stem cells and medicine in general all fit together to build a healthier life. It is important to get the most of your Vitamin D levels through safe sun exposure as it is the best type and the most powerful source for the vitamin. You can also get Vitamin D in decent amounts from supplements and food, but remember that to maintain a healthy amount of Vitamin D you need to have a blood level of 40-60 ng/ml all year round. The length of sun exposure and/or supplemental dose needed will vary from one individual to the next depending on their biologic makeup, where they live, and what their lifestyle is like. You can do a lot for your health with Vitamin D.
To find out your vitamin D levels, it can be difficult but the best course of action is to get regular blood tests to ensure you are getting ample levels of all the essential vitamins and minerals your body needs. One of the best ways to optimize your body’s ability to generate Vitamin D from the sun is to get safe exposure of at least 30 minutes each day and it best to delay showering immediately after to allow the skin time to fully process the elements and covert it. While it’s difficult to maintain optimal vitamin D levels from food sources, it is found in some foods, including: Sardines, Wild Salmon, Beef Liver, Cheese, Organic Butter, and Organic Egg Yolks among others. A growing body of evidence shows that ensuring optimum health includes getting enough nutrients and minerals. Keeping tabs on your health with Vitamin D is just one of many ways you can keep yourself as healthy as possible. There are about 30,000 genes in your body, and vitamin D affects nearly 3,000 of them, as well as vitamin D receptors located throughout your body. So do yourself a favor and make sure you are getting enough safe sun exposure every day. People in America spend thousands of dollars every year trying to stay healthy and one of the best ways to maintain a healthy balanced life to ensure you get enough of all essential vitamins and minerals. New research is showing how we can maintain health with Vitamin D and other natural elements and nutrients. New research is also showing that this critical vitamin can even help improve stem cells and medicine research involving stem cell applications and treatments.